Ae Records and Neogoa Records join forces once again to deliver and present another unique downtempo and psychedelic chill out album by our long-time contributors and friends, Shamanizm Parallelii from Russian Far East. Since the release of The World In A Drop Of Rain in 2014 on Neogoa Records, Pavel Yashan and Arkadiy Tronets spent most of their time in the studio creating and crafting new tunes for this album. 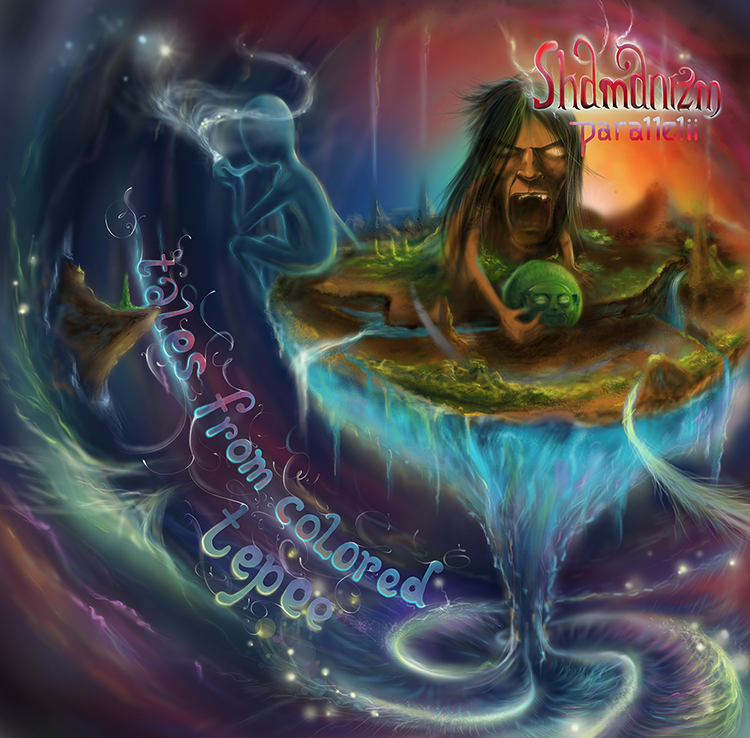 So, sit back and relax, because Tales From Colored Tepee is finally here and it will perfectly complete the Shamanizm Parallelii album trilogy on Neogoa Records with fresh psychedelic dub and space rock tracks, including few collaborative works with other musicians from the Ussuriysk area. All tracks written and produced by Pavel Yashan (guitar, sitar, vocals, and lyrics) and Arkadiy Tronets (synths, percussions, mixing, and mastering). Tales From Colored Tepee album illustration by Arkadiy Tronets with additional editing by Ivan Parić at Neogoa Design. Neogoa Records promotes and supports Goa trance music and culture by providing free digital releases. We encourage you to buy your favorite music and support the hard work of artists and our community.